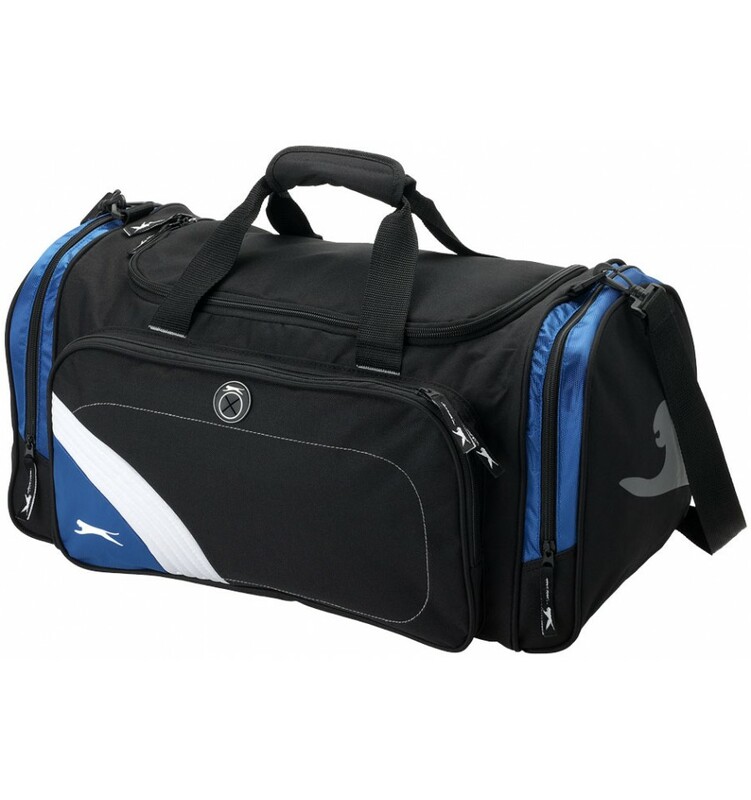 Exclusive design bag features a zipped main compartment, front zipped pocket with organisation panel, ID window and a headphone port. Also includes 2 side Velcro accessory pockets and adjustable shoulder strap, packed in a Slazenger gift pouch. Zippered main compartment. Front zippered pocket with organization panel. ID window. Ear bud port. Two side velcro accessory pockets. Adjustable shoulder strap.